A good skincare range is hard to find. Some used chemicals because they are cheap and able to extend the product shelf life. Do you know that without a proper skincare, our skins will be damage ? 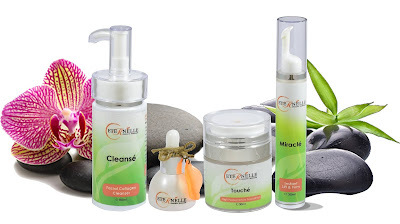 Therefore, a natural and organic skincare is important to nourish and nurture our skin to regain its natural glory. To understand more on a newly launched natural and organic skincare range named Eternelle, a local brand, Mommy Jane was invited to Grand Millennium last week. Rohanna Hussein, the Founder and the Director of Eternelle, had flustered around the various beauty counters and aesthetics facilities when doctor once told her that she looked way older than her age. She had tried various invasive treatments at exorbitant price but none delivered the results she desired. Rohanna then was inspired to create a natural and organic skincare range and started to do a research on locally and internationally produced skin care products. She then produce her own skincare series with a smaller range of products, more simplicity but highly organic using natural resources available. Inspired by the Japanese use of high quality, yet effective natural botanical elements in their skincare regimen, Eternelle strives to deliver simple elegance at affordable price for more exclusive market. Not only that, her formula also complements Asian skin type and tone. She even tested her own products and within months, her products delivered the results she desired. Eternelle not only help revitalize dull and tired skin to regain and retain its youthful glow, they will also improve the health of the skin in the long run with continuous application. The use of organic extracts create an intensive restorative effects of natural firmness that considerably reduce sagging skin and drooping lines instantaneously. 4. TOUCHE (protecting) - high performance foundation. It had SPF 30 protection from UV rays, smooth texture, lightweight and does not cause sweat marks. This 4-step regime will be substantial to achieve the natural and eternal youthful glow even without superficial or cosmetic effects. So, if you want to try it out, do log into their website at www.myeternelle.com to check the products out and if you want to make any purchase, select the products, add to cart, proceed to checkout and enter details. Remember to enter my code i.e. ETJC in the Order Note before select the payment option. Especially to all my readers here as there is discount for the 2 sets of the items above. Just enter LUCKYDRAWBODYSET at the promocode for the Shower Gel and Body Mist at special price at RM99 (NP RM109.80) or LUCKYDRAWSKINSET for the skin care set at the special price of RM288 (NP RM307.60). Besides that, if you made any purchase of the 2 sets above before 31st March, 2016, you're automatically entitled to a Lucky Draw Contest where you can win 999.9 Goldbar. Winner will be announced on the 1st April 2016 via Eternelle FACEBOOK or Instagram. Do remember to follow them to check whether you're the winner or to get the latest update and promotions. I had tried on with the Eternelle TOUCHE and love the colour of the foundation as it looks natural at my skin. 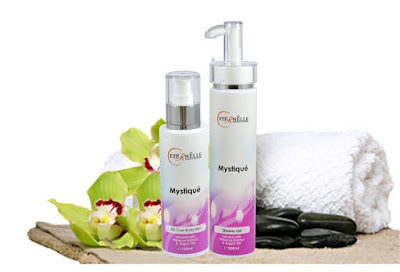 The MYSTIQUE All-Over Body Mist is like a perfume that we used daily with natural beauty smell that captures my heart. Since it is made from natural and organic products, no more worries that my skin will get contact with chemicals that might harm my skin. I believe, in 2 weeks times, I might looks younger than my age now. Fish, remember to enter my promocode i.e. ETJC when buying the products online. Hope both of us will win. Tq. nice event, dont know of this brand until I see here. skin care important for everyone. Sherry, agreed with you as we need to protect our skin now before it damage. This is the first time i heard of eternelle. How is the product price range? Hi Fadzi, the price is from RM34.90 to a set of the skincare price at RM307.90. Consider affordable as compare to other same quality brands. just know this brand.the instant lift is so powerful. i need it!! WFC, it is indeed powerful. You should try it out to looks younger and prettier. Hi Pui San, temporary you can only get it online as they don't have a physical store yet. When u enter the code given, you'll get it at a special price and entitle for the lucky draw too. Good luck ya. Looks like a great range of products here ... would love to try it out..
Miera, they had trial pack for you to try it out at only RM39.90. Maybe you could check this out and put my code there ya. Happy trying. Sara, you should try it out to looks prettier. Take care of your skin when you're young. Wow can see the immediate difference after applying the product, quite good. Kelly, indeed it is. I hope to looks younger now after using it. Ivy, she really looks like in 50s. The products work on her. Alyza, you should and happy trying. haven't heard this brand before. 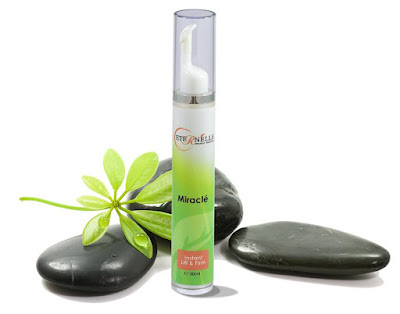 but the result after applying the Miracle Instant Lift & Firm is surely a big different. she looks younger. Ayue, I also feel amaze with the on the spot result. Ladies, now you have more choices to choose from and get the one the suits you and your skin the best. Chaiyok! And Jane, contact me about the water filter, I will give the best price for you. The lift was quite evident! Good luck with the contest! Nice and interesting name for a beauty product! Do let us know how effective this is! Organic skin care is good. Thanks for the promocode, I will buy this product using the discounted price.